The UK’s largest representative body for Indian-origin doctors today said English language tests must be designed differently for Indian medicos, focusing mainly on communication skills and practical use which relate to patient’s safety. 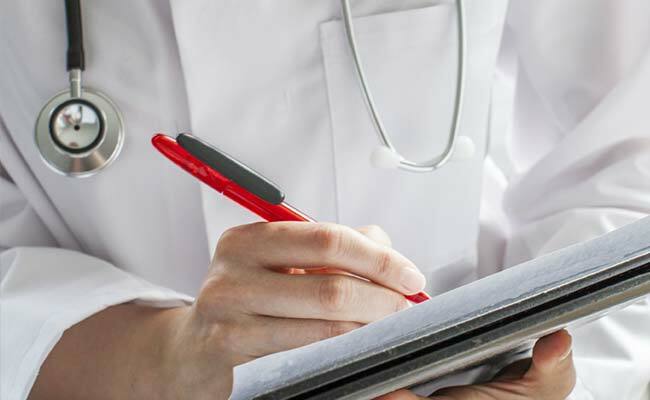 The call follows a recent report which revealed that doctors from outside the European Union (EU), including India, are less likely to face disciplinary action for poor English. “Indian doctors use English medium all through their curriculum and therefore the test should be tailored differently for them,” said Dr Ramesh Mehta, president of the British Association of Physicians of Indian Origin (BAPIO), UK’s largest representative body for Indian origin doctors. “We will be raising the issue with the GMC [General Medical Council] – to modify the test for Indian doctors so that the focus is on the practical use of the language which relates to patient safety,” Dr Mehta said. BAPIO fears that some Indian doctors may be getting put off by a detailed written aspect of the English tests when applying to the UK, while the focus should be mainly on communication skills. “With around 30 per cent of the NHS [National Health Service] medical workforce being made up of Indians, it is a fact that Indians are the best doctors available to the NHS from overseas. At a time when the NHS already faces shortages, it is a shame if the way the English test is devised results in any further shortages,” Dr Mehta said. In 2014, GMC had made the International English Language Testing System requirements tougher, largely targeted at European doctors after it was found that the safety of patients was at risk from medics who could not communicate properly. Freedom of Information data from the GMC released last week showed that 29 doctors from the European Economic Area (EEA) faced allegations relating to “inadequate knowledge of the English language” during 2014 and 2015. By comparison just 10 doctors from outside Europe faced similar allegations even though they make up more than double the number of doctors, nurses or dentists as those from the continent. The UK’s Royal College of Surgeons (RCS) believes the issue should now be included in the UK’s negotiations over its exit from the European Union (EU) after the June referendum in favour of Brexit. “Currently EU law makes it impossible to insist applicants demonstrate their English skills in a clinical setting. However, post-Brexit negotiations offer an excellent opportunity to change this and ensure that testing is vigorous enough to ensure patient safety,” said Professor Nigel Hunt, Dean of the Faculty of Dental Surgery at RCS. Since basic language testing came into force in 2014, the GMC said more than 1,000 European doctors seeking registration in the UK have not satisfied their English language skills. “Patient safety is of the utmost importance, and we expect all healthcare professionals working in the UK to have a good command of the English language. That is why we have tough rules,” said a spokesperson of UK Department of Health.